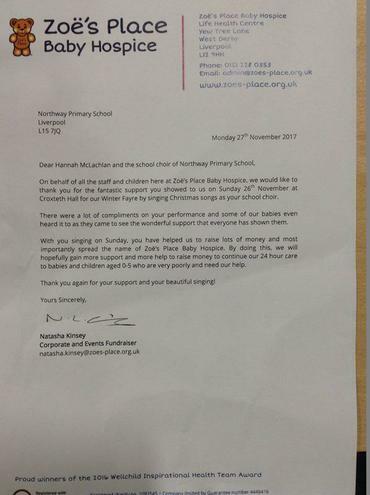 Well done to the fabulous singers who took part in Croxteth Hall's Winter Fayre on Sunday 26th. It was a brilliant success and they impressed everyone with their hard work and dedication - despite the freezing cold! 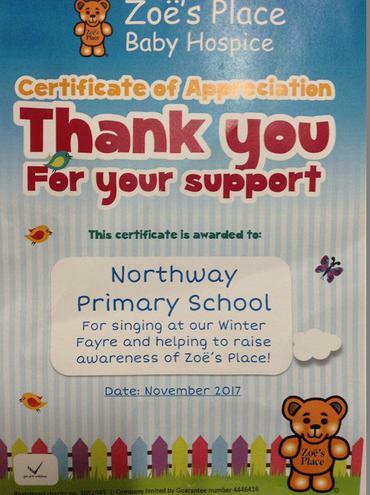 Below is a letter we have received from the event organisers thanking us - they raised lots of money for Zoe's Place with our help! If you missed their performance, you can see the choir sing a special song on the 12th and 13th December during the Key Stage 2 Carol Concert.